The beautiful Domed Wave Soap Mold has a pleasing curved surface with waves reminiscent of paper flowers. Bar Depth: 1.25 Bar Length: 3.5"
COMMENTS: Used for the first time last night-the soaps turned out lovely. The reason for 4 stars though is that plastic molds are a little difficult to unmold, which is why I prefer silicone. I've read that refrigerating them for a few hours makes it easier and it does, but they don't pop right out. Still- it is a lovely mold and I am glad I purchased it. • Change to 4 bars per mold. instead of 3. 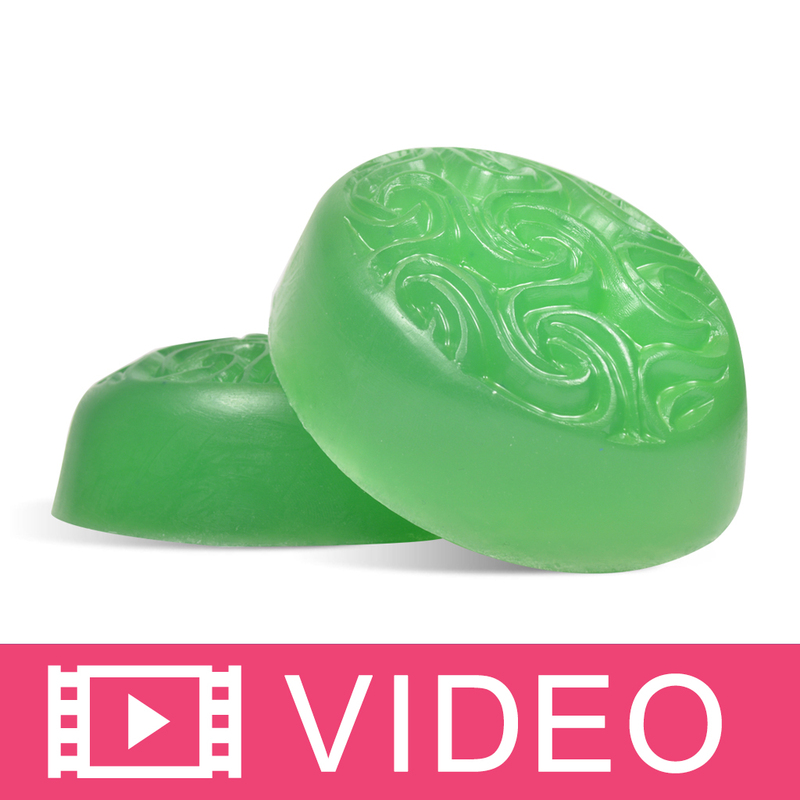 COMMENTS: I used this mold for cold process, scented with south pacific waters. I've got to order more! COMMENTS: It is a little larger than I had thought but very pretty and the waves look great in MP soap. COMMENTS: easy to use, very pretty - lots of people loved the design - fun mold! COMMENTS: Love the design in this mold. It makes a great bath size bar too. COMMENTS: I had a coupon for a free mold and chose this one. I would gladly have paid the price as it is beautiful, so detailed and impressive looking. I can't wait to try using this with bath bombs as well. It has become one of my favorite molds. COMMENTS: I love my new molds. They are just so pretty, make eloquent looking soaps. I know my customers and family will fall in love with them. The molds are super easy to use, the soap just pops right out. No fuss-- No trouble, the soap just popped right out. I made 15 nice size hand soaps. 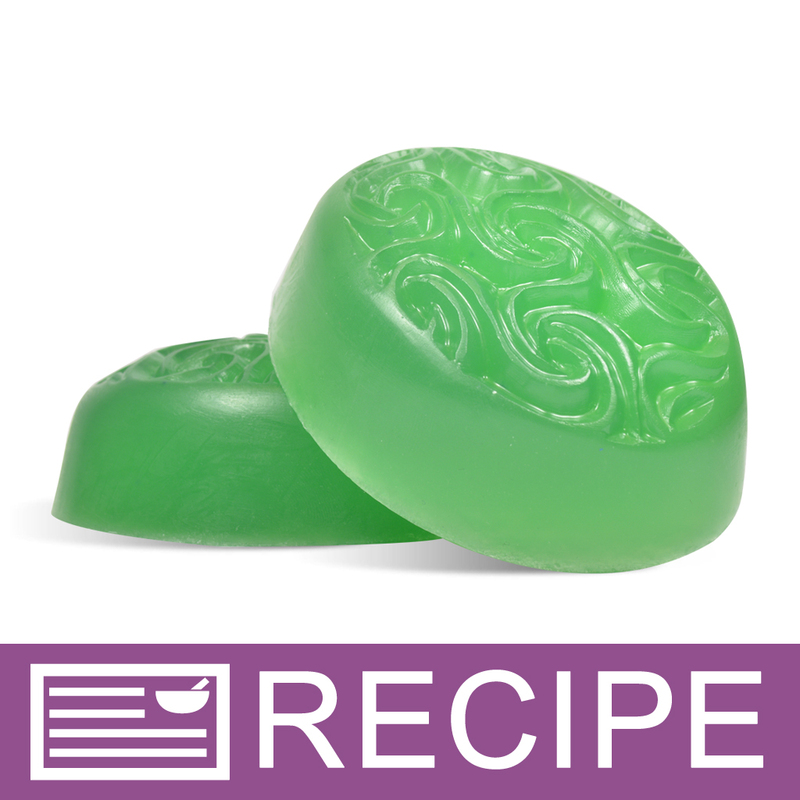 COMMENTS: This has been my favorite mold to use for my melt & pour soap. The look is very elegant, the size fits nicely in hand and the soap comes out easily. Customers have loved the look and it is my first soap to sell out. I have been a customer for a few years now and have been consistently pleased with the products that I have purchased through Wholesale Supplies Plus. COMMENTS: I used this mold to make shampoo bars. The finished product was very attractive!! Came out of molds easily, which is often not the case with rigid plastic molds. COMMENTS: Very Elegant for a chunky bar! I bought this mold to make soaps for a wedding gift. They are different, but they are elegant enough for a wedding theme. COMMENTS: This is a great mold for wedding and party favors there are beautiful. COMMENTS: Soap bar was of good size over 4 oz. very cool looking, love oval smooth design. Soap came out after 15 min in freezer. COMMENTS: The groves are nice and deep and the shape is nice also. Really like this mold.